I have often found myself thinking about historians and a fear of loss. Ruefully, I have to admit that my working habits must look obsessive to many people. Formed in a pre-digital age, I have acquired roomfuls of paperwork, card-index systems, box files and books. The loss of this archive is a threatening thought. Again, like many historians, I am involved in a fair amount of conservation work and have gone through countless battles to try to save and protect historic buildings, archives and artefacts. Those less keen on heritage often accuse conservationists of stuffiness and of an inability to ‘let go of the past’. There could be much delving into psychology as well as philosophy here. What distinguishes the real ‘loss’ of the Victorians is the development of indifference towards the emotional reality of their existence in the past, and this is a characteristic which cannot fully be traced until the 1950s and 1960s. 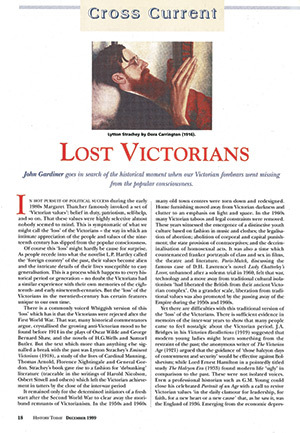 Gardiner argued that the loss of the Victorians in these years was an ‘unintentional outcome of some features of society after 1945’. This is a bit vague. He makes the interesting suggestion that the rise of youth culture in the postwar world and a widening generation gap may have discouraged the young from looking to their elders for ‘intellectual and moral guidance’. The problem with this explanation is that something similar happened earlier. After the First World War there was widespread disillusion with the previous generation among the young. Is Gardiner suggesting that it took two waves of revulsion to flush away the Victorians? And what exactly does he mean by ‘indifference towards the emotional reality’ of Victorian existence? There are contradictions here. As he himself points out, the Victorian Society, committed to preserving gems of the era’s architecture, was set up in 1958 and a new interest in Victorian antiques and material culture became evident in the 1960s. 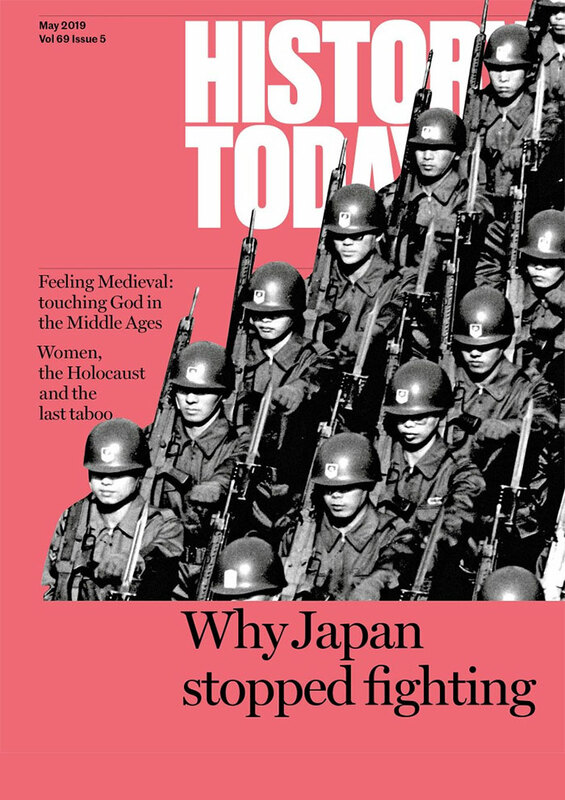 What about historical understanding? 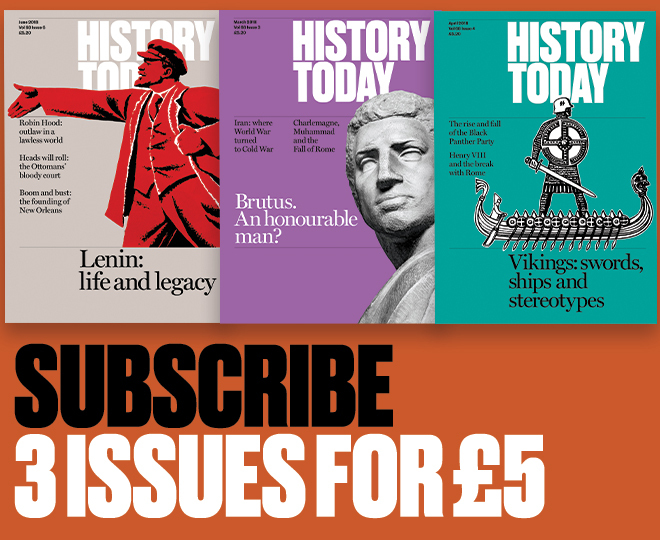 Gardiner grumbles that the heritage industry can encourage ‘a complacent attitude to history’ and that the readership for serious historical work may be in decline. Towards the end of his article he tries to rally: a somewhat strained note of optimism allows him to express the hope that new editions of Victorian novels and television and film adaptations will show a more robust engagement with the realities of 19th-century life. He further speculates on the possibility of the new millennium encouraging interest in how the Victorians coped with their own fin de siècle. Gardiner was on the mark here. Important books on the subject, such as Elaine Showalter’s Sexual Anarchy: Gender and Culture at the Fin de Siècle (1990) and Judith Walkowitz’s City of Dreadful Delight: Narratives of Sexual Danger in 19th Century London (1992), had already started to appear. The last 20 years have seen an efflorescence of interest in the Victorians. There has been an equally vigorous growth of interest in the history of gender, material culture and emotions, all of which have generated exciting new insights into the history of 19th-century society. Meanwhile, there has been no shortage of work on the history of the ways in which we have perceived and represented the Victorians. Matthew Sweet’s Inventing the Victorians and A.N. Wilson’s The Victorians (both published in 2002) are important examples. The Victorians appear to be with us still – but then again, did we ever really lose them? Carol Dyhouse is research professor in history at the University of Sussex. Her most recent book, Girl Trouble, Panic and Progress in the History of Young Women, is newly published by Zed Books.